My philosophy on running is, I don’t dwell on it, I do it. Does it work? Does it not? You learn by your mistakes. It’s so subtle. If you run so hard that you can’t recover, you haven’t done any good. Running has taught me, perhaps more than anything else, that there’s no reason to fear starting lines…or other new beginnings. News from the “Nest”: It’s always good to get a fresh perspective on things. 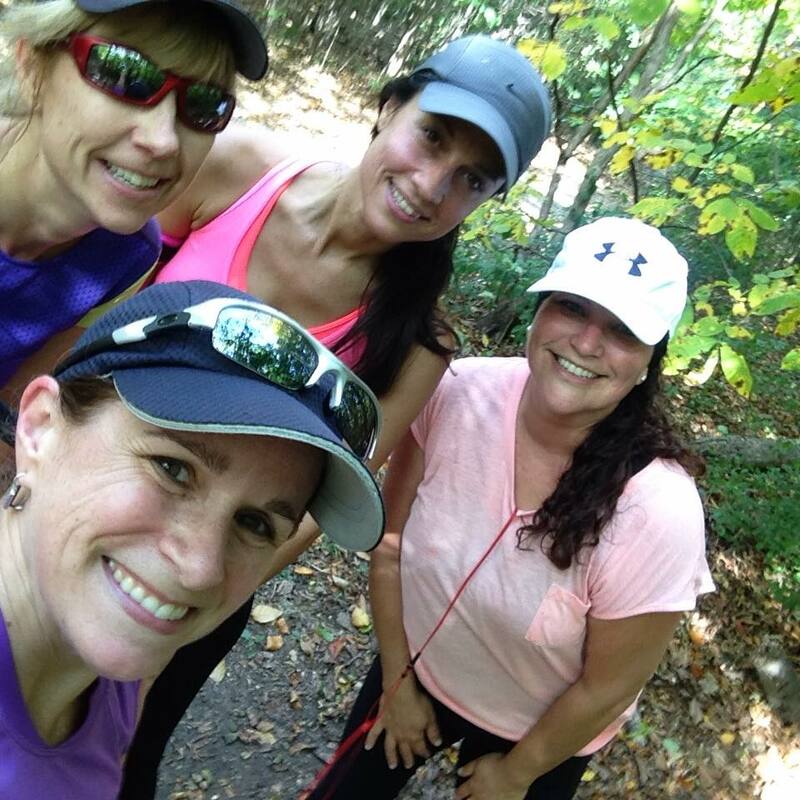 On Thanksgiving Monday, 4 of us embarked on a 19km long run. The weather was beautiful, warm and breezy. I, recovering from a week of fighting a cold, was not feeling my best. Dry cough and tight chest and lack of sleep made for a really challenging run. I am usually the one coaching the Chicks along, but this time the tables were turned. My ladies were saying “No rush, take your time, there’s no pressure, have a gel, we don’t care about pace, it’s good just to be out doing this, etc.” They propped me up, pulled me along and got me through the toughest run I have had in a very long time. That’s what this group is about – women supporting women:) Thanks girls for your help. It’s not easy for me to be on the receiving end of the encouragement – I much prefer to dish it out!!! I am away tonight and Saturday for my daughter’s hockey. Runs will meet as usual – check below for specific distances. I will be running back on Tuesday and will sell more lights and collect money for the ones I gave out this week. 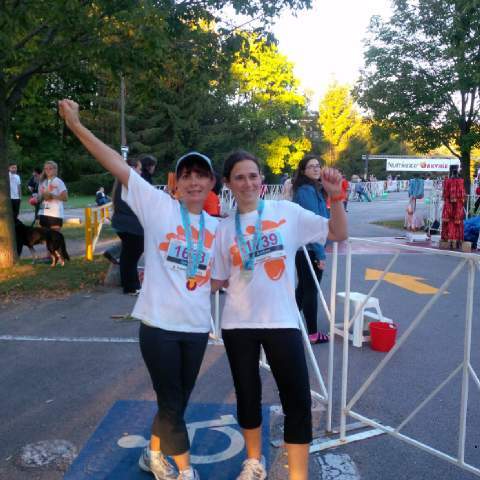 5km Congrats: Big congrats to Ivonne (31 min) and Andrea (32 min) who completed their very first 5km run in Oakville a couple of weeks ago! Looks like it was a fantastic day and you had fun. Now what’s next ladies?! Running Lights: I ordered 25 lights and I will sell them each for 7.00 cash. 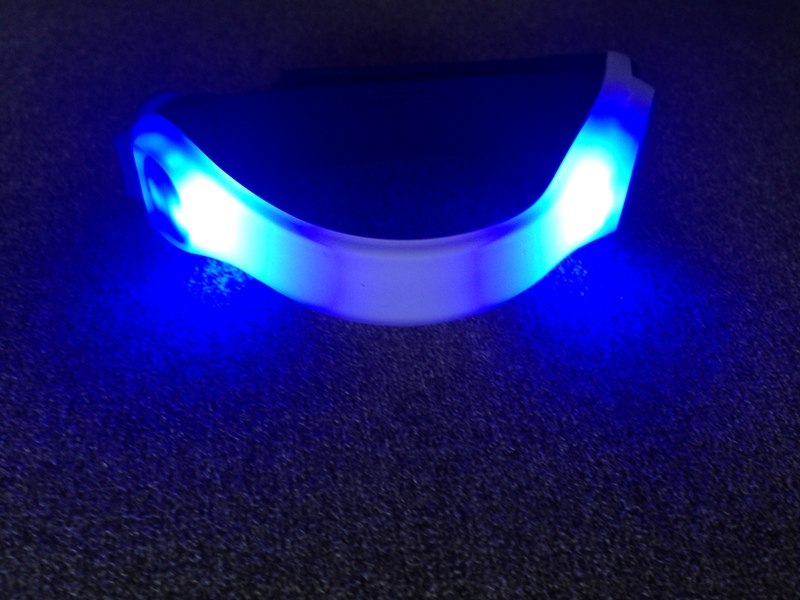 They are LED with solid and flashing modes. You can pick them up when you come out to run! First come first served:) Currently I am down to 5! Hot Yoga? : A few of us have purchased Groupons for Clarity Yoga Studio and will meet one morning a week to practice. Looking at Mondays (starting October 19th )for hot yoga at 9:30. Here is the link Clarity Groupon in case you want to try it out. It is suggested that you sign up for the class online before you go to ensure you get a spot Clarity Schedule. We tried out the hot yoga yesterday (was a challenging power yoga class) and enjoyed it – my abs are talking to me today. Remember to bring water, small sweat towel, a towel for on top of your mat to avoid slipping, shower towel and flip flops for the shower. Motivation: Read this short article about how running changed this lady’s life. Jeannie Howell. If a half is too long for you, consider doing the 10km which is on the same date. Here is your program 10 Km program from 5km base (T,Th,S) which began on September 13th. There are a few maybes out there – Janice, Ellen, Carol, Anabell, Ivonne, Andrea, Joanne, Debbie, Erica, Karin??? Who has signed up? – send me a note!! Tips From Runner’s World Daily Calendar 2015: 1) Most experts agree that you should have a year of regular running under your belt before you start training for your first marathon. 2) Vacations and business trips are excellent occasions for finding new and scenic running routes. Call ahead to locate the best areas for running. 3 ) Don’t let your hands cross the midline of your body. When they come across too far, your running efficiency decreases. run with your forearms roughly parallel to the ground. And keep your hands and fingers loose but not too floppy. 4) Recover well. In order to make sure you get to the next starting line fresh and healthy, give yourself adequate recovery time after any race by planning an easy day for every mile you raced (three easy days for a 5km; 13 for a half marathon) 5) Try this tip for getting out for a morning run. The night before, gather your clothes, shoes and whatever else you need on the run so that you don’t have to hunt for anything in the morning. Lay everything out (even outside your bedroom or near the coffee pot). Also, decide on a route that doesn’t have any interruptions (intersections) during the first mile or two to keep you moving forward easily.